I arrive at Richmond feeling like a cheat. I’m not really here to use the station at all, more to use the train that is arriving and departing from it. 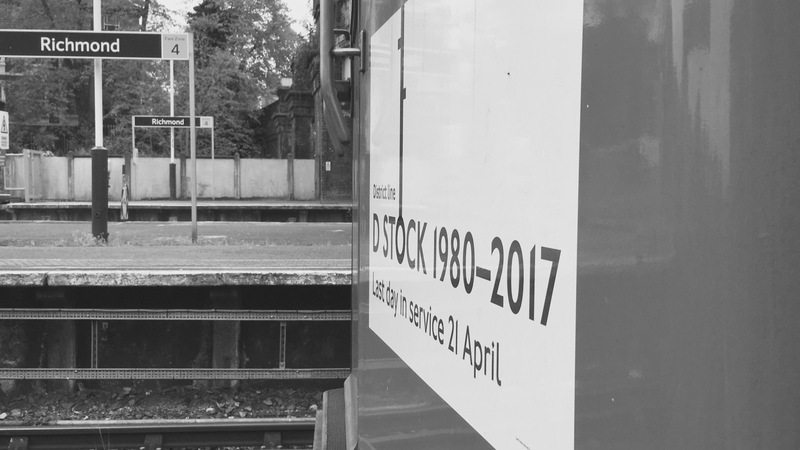 Richmond is merely a means-to-an-end, I’ve arrived on the last D-Stock to ever travel here, and therefore I shall be leaving on it too. I could quite happily not have crossed the gateline, but seeing as it was as good as any excuse to cross it off (and to make sure my oyster card didn’t time out) I thought I might as well.